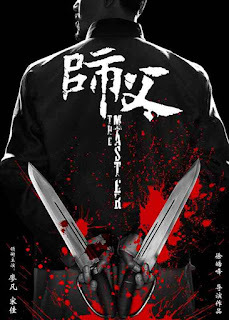 The Master (2015) aka The Final Master is a movie about a Wing Chun Kuen master who goes to Northern China to try to open up a kwoon (school). It features mostly weapons fighting and features the hudiedao/wu dip do/butterfly swords. 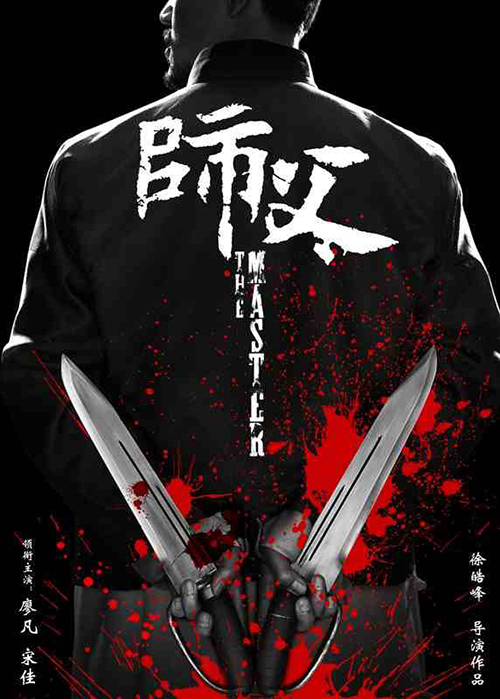 The Master is director Xu Haofeng's followup to his previous directorial effort in 2011's The Sword Identity and his 2013 script for director Wong Kar Wai's The Grandmaster. Xu is a Xingyi/Hsing I practitioner as well as having studied Taoism for 8 years under 2 masters. What caught my eye is the reverse grip usage of the butterfly swords. Normally, in the Wing Chun I've seen, the swords are used in standard grip. I made some animated GIFs - both regular speed and slowmo on the defensive/parry motion.